I feel like it has been ages since I made a post. Truth is we are just too busy to blog at the moment. Our class for our captain’s licenses keeps us busy every Monday, Wednesday and Friday from 6-10pm. We are both still working full time to build up the cruising kitty. Put some boat projects on top and we barely have time to take Summer for walks. Plus all of our boat projects have been only partially completed. So we don’t have much to write about on that front. This weekend we worked on the running wiring for two in-progress projects: adding solar and tank monitors. Those things took most of Saturday to complete and neither project is close to finished. The projects are moving forward and my Bride has the boat bites to prove it from helping me run the wires. The shrink wrap and structure came down this weekend as well. So now we have our cockpit back and we had to find space to store all of the stuff we had been keeping under our biodome. None of this is terribly exciting thus the lack of entries. We have also been trying to put any time we can find into helping with the fight to keep Florida’s anchorages available. As of this morning I am down to 115 days of work before I quit. A few more for my Bride. So soon the lack of time will not be my compliant. 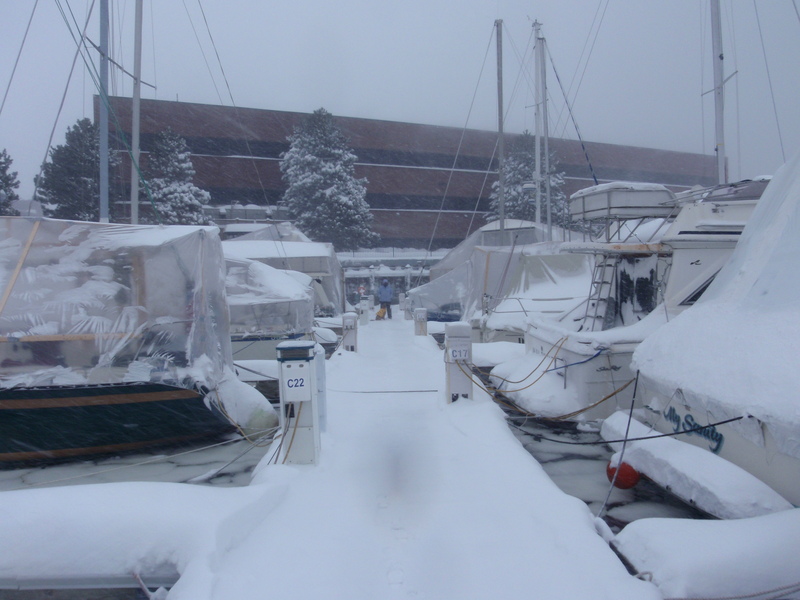 Categories: Living Aboard, Upgrades & Repairs, Winter Living on a Boat | Permalink. I have had this post in draft long enough that spring is almost here. Sorry. 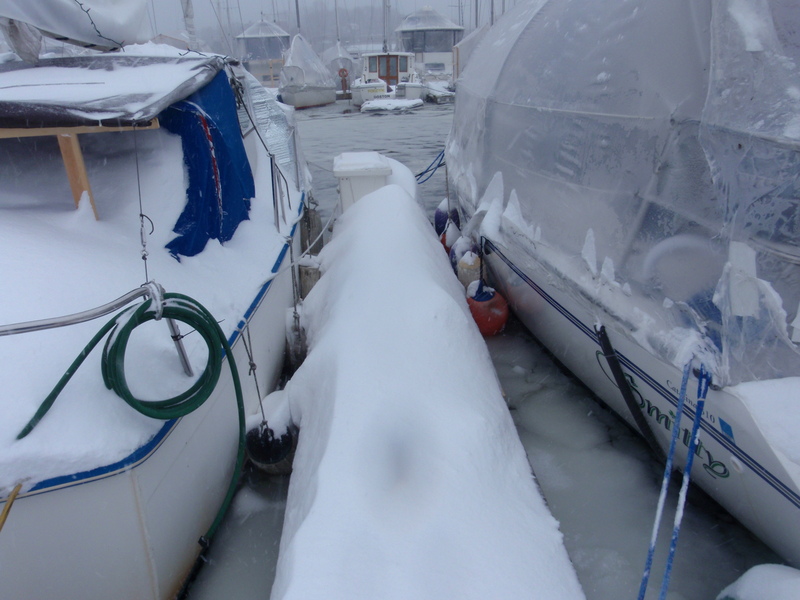 Here are a couple of other things we did this winter that really helped make the boat liveable during one of the coldest and snowiest winters Boston has seen in decades. We added dry deck type products below the mattress. After doing some price shopping we ended up going with Greatmats Staylock. These added some great air flow below the mattress that really helped cut down the condensation. Prior to adding these the mattress would feel wet on the bottom. 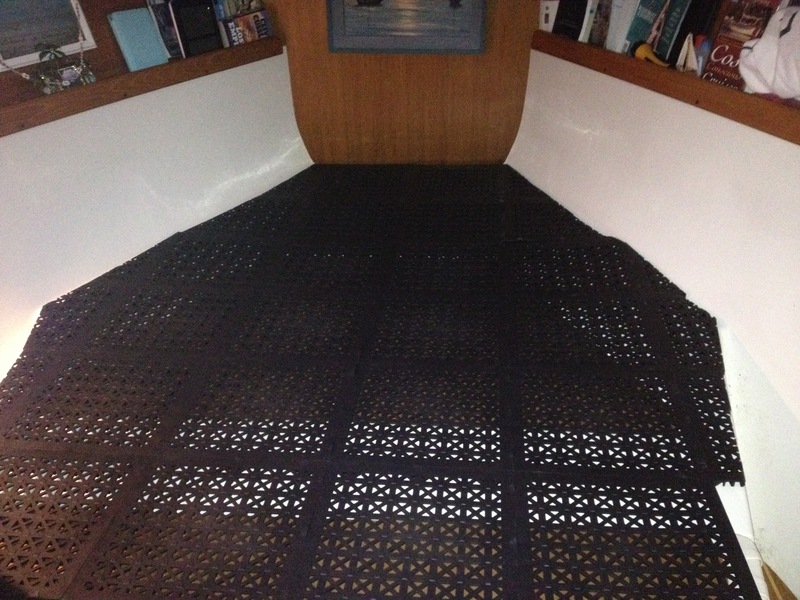 Some of the other liveaboards put some ridged foam down under their mattress to act as a barrier. I don’t think that is necessary if you get air flow with something like this. We stole this next idea from Andrew, our neighbor who has lived on his C310 for over a decade. 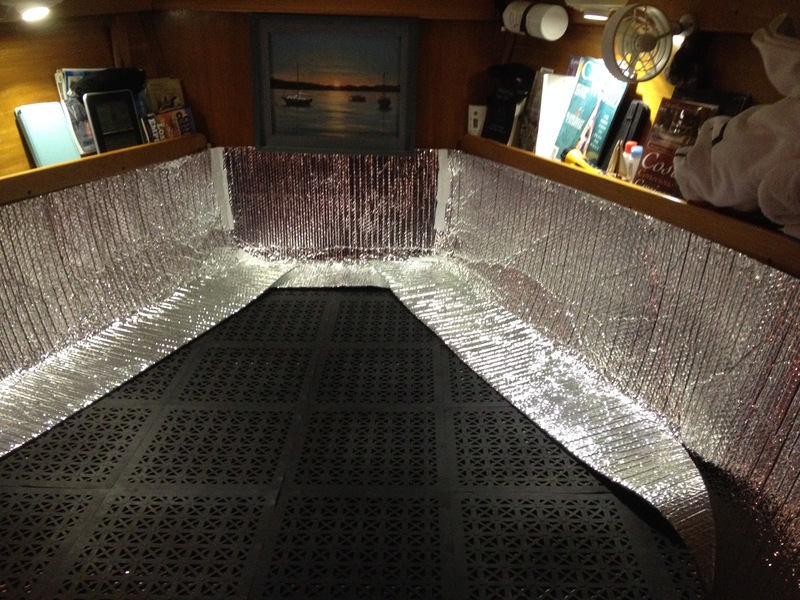 We put foil, bubble insulation along the sides of the berth. This added some insulation to help keep the heat in but more importantly it prevented us from touching the cold sides of the forward berth at night. Andrew has covered his with a felt material. This seems to be a good addition and we would have done that if we were going to be doing this next winter. 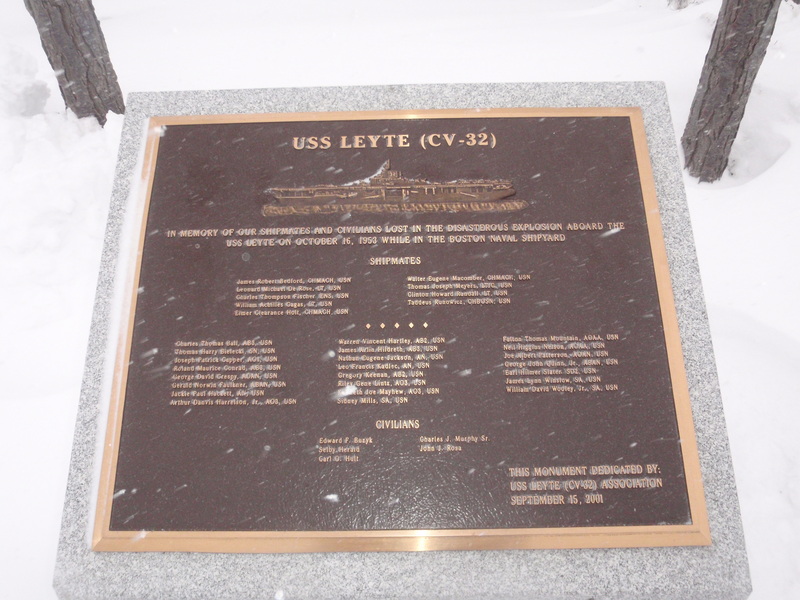 With all of the cold weather and snow, close to 100 inches in a one month period, we were never cold on board. The heaters kept us in the low 70s while not having an electric bill over $200 for a month. Moisture issues were minimal and we didn’t have to run the dehumidifier full time. 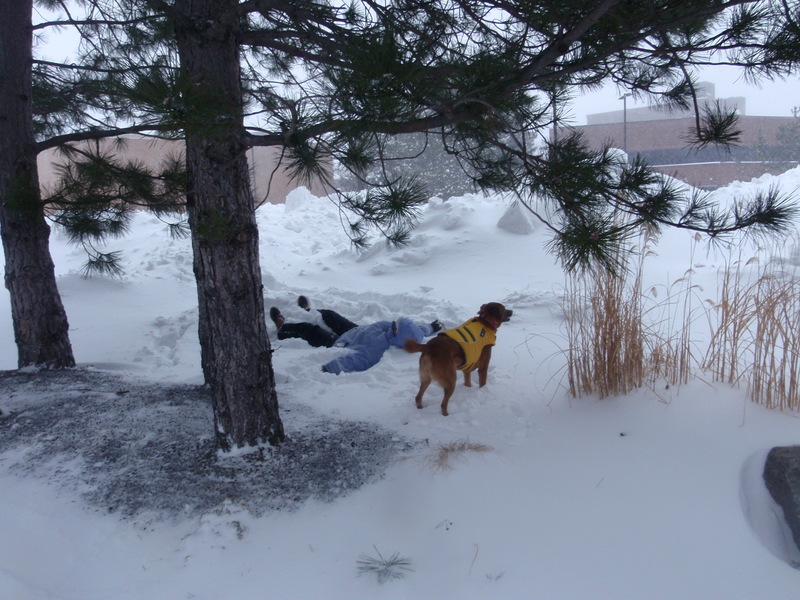 We only had one time when the power went out and we had to use the propane heater. 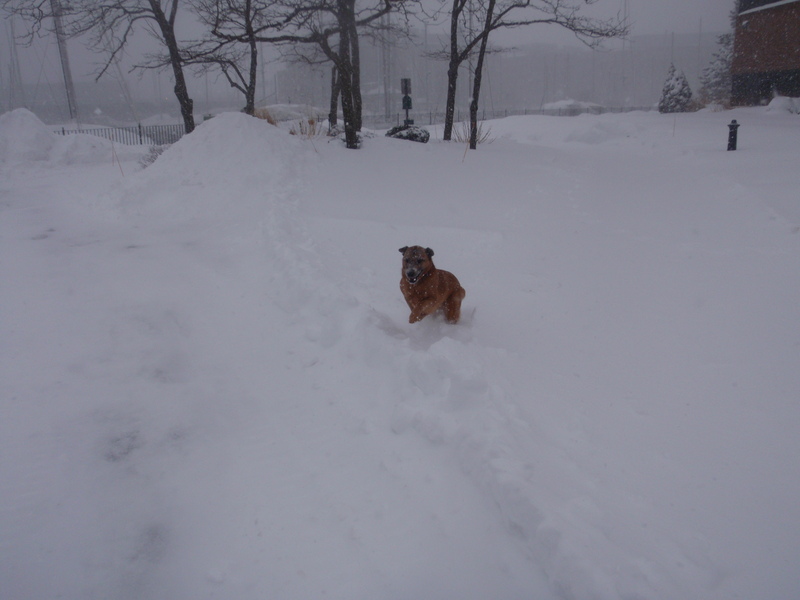 That was during the first blizzard of the season back in late January. We were only without power for about 3 hours. 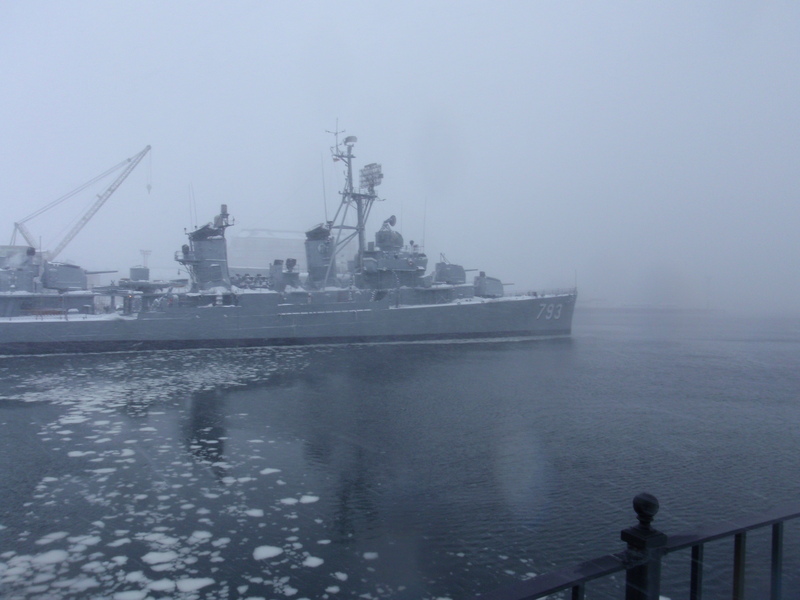 The ice around the hull got a little nerve racking at times. 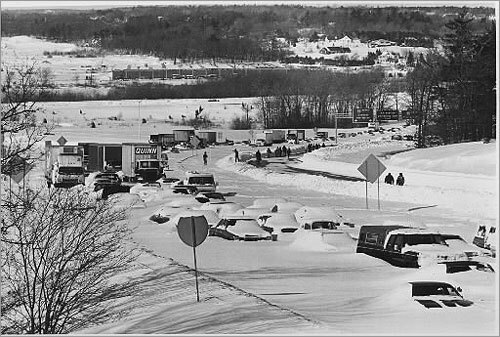 Hell the US Coast Guard icebreaker got holed the ice was so thick and the commuter boats had to discontinue service to Hingham for close to a month. The marina had some struggles keeping the water flowing to our boat and the waste flowing away. In their defense, the systems they had in place had worked for the last 15 years without a problem. It was just an exceptionally cold winter. 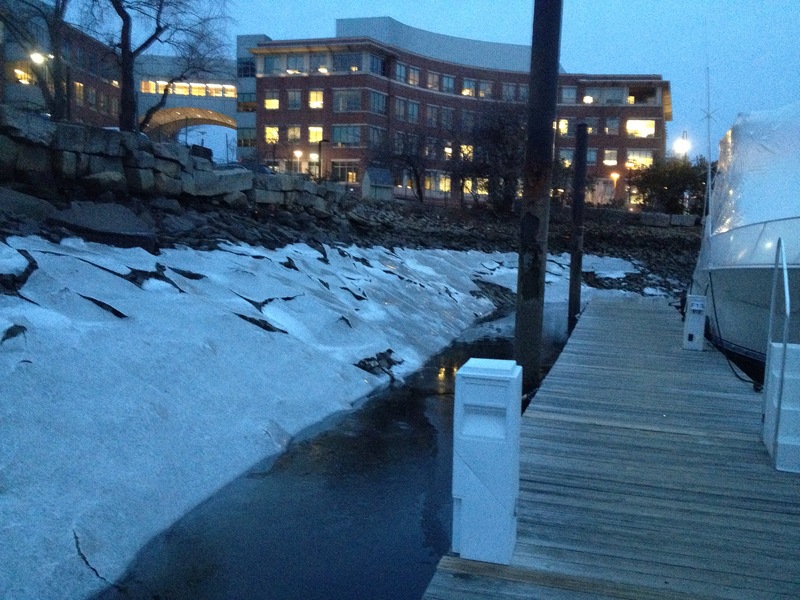 But they kept the docks clear of snow and ice and eventually figured out ways to keep the water flowing. This picture was taken a couple of weeks ago before we had a prolonged cold snap and the ice got thicker and more prevalent. The red arrow points to Smitty. 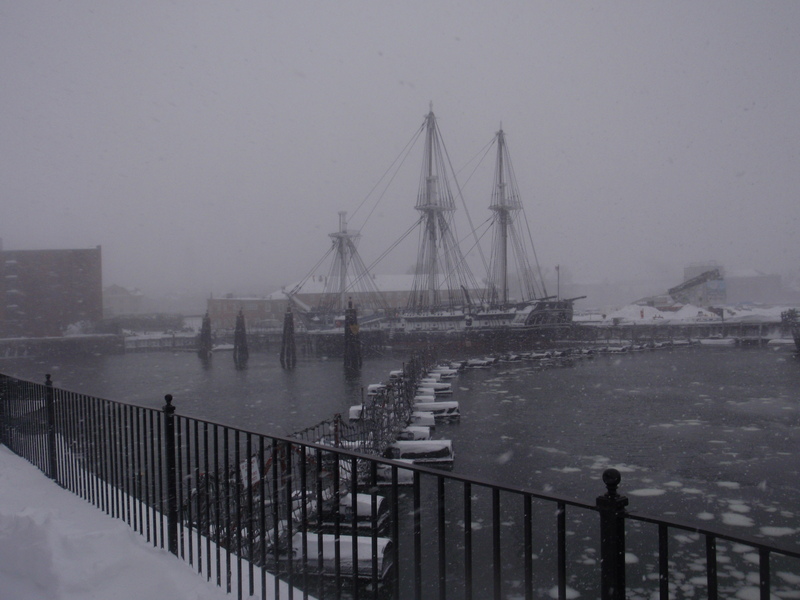 This is the first question we always get asked when people find out we live on our boat in Boston Harbor. So I thought I would give some specifics on the subject. Today we are in the middle of a cold snap. It’s been in the teens the last couple of morning and hasn’t gotten over 30 degrees fahrenheit. 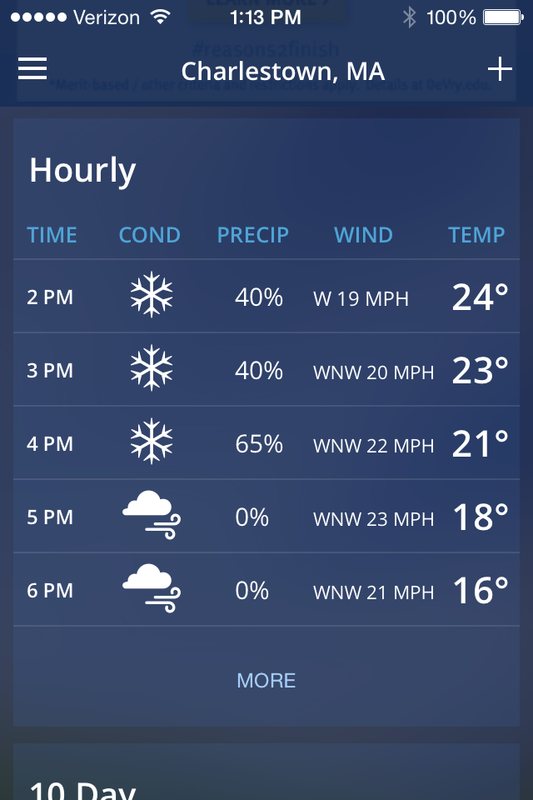 We are in wind chill warnings, its predicted to be -2 with the wind chill. We are even starting to get some nice ice build ups in the marina. Today I even got texts from friends and family asking us if we wanted to stay with them. Nice offers but it really isn’t bad on the boat. We left for work before 7 am and only left our radiant heater on medium. I came back to the about at about 1 pm. Here is what it was like. 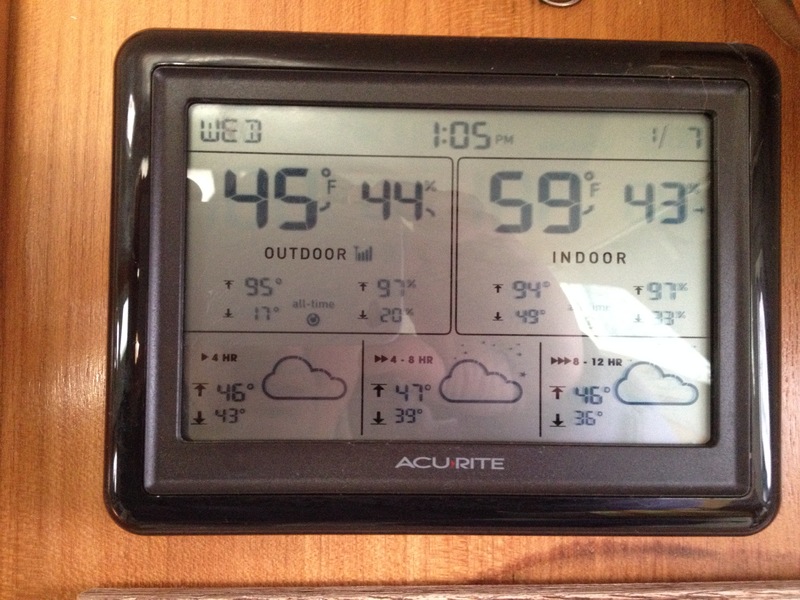 The outdoor temp on the display is actually under our clear shrink wrap. So that 45 is the result of some good greenhouse effect from the clear shrink wrap. It was actually about 22 and less than 10 with the windchill. 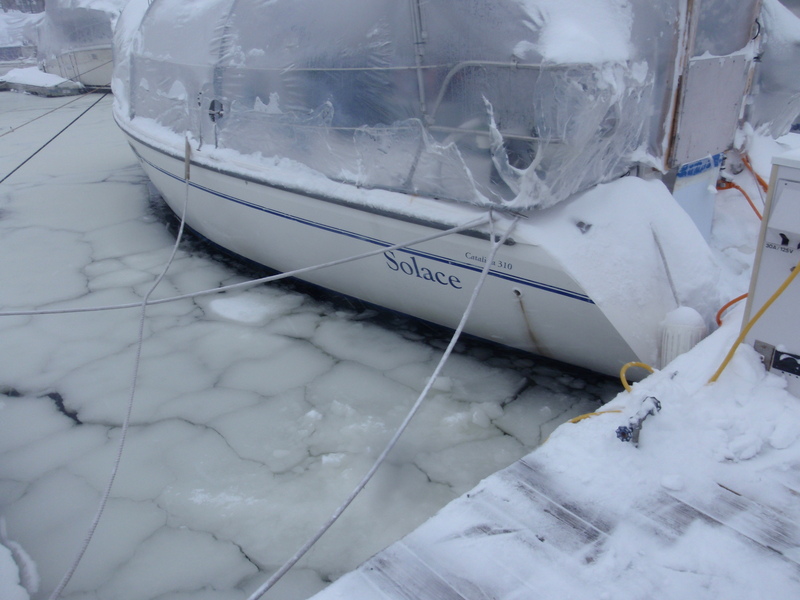 Like most people we try to reduce our energy use and only have the boat at a minimum temperature when we aren’t on board. I turn the heaters on high and within 30 minutes it was nice and comfy. If we leave both heaters on high it will get into the 80s. There are some different things that we hadn’t thought about. Like last night we were woken up by something banging into the hull. After thinking about it we realized it was ice. 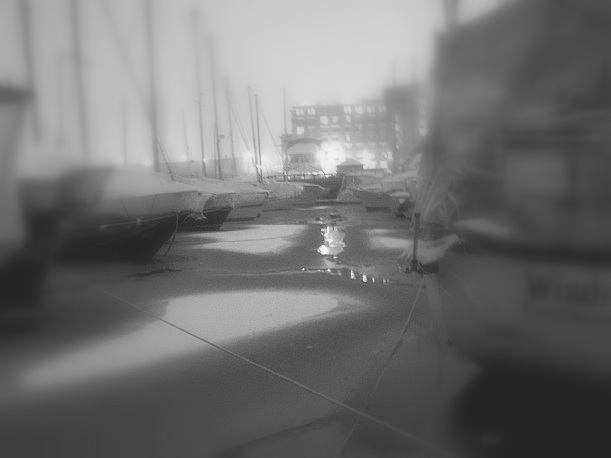 The ice forms on the inside of the marina, near land. 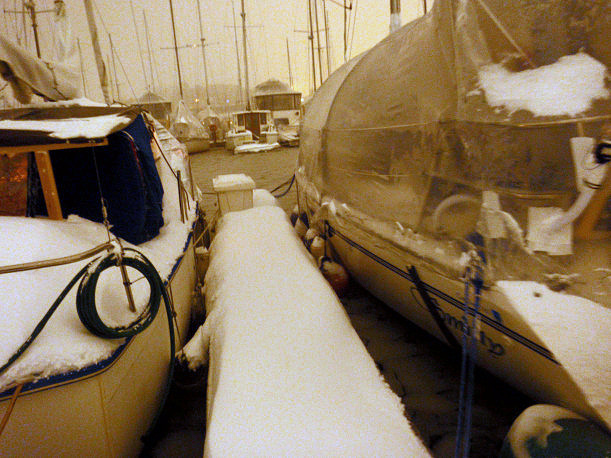 When the tide goes out, some of the ice goes with it and some of it was hitting against our hull. One quick update. I left the heaters on high for as long as I could stand it. In about 3 hours it was over 80 degrees. It was too warm for me to be comfortable and I had to end the experiment. 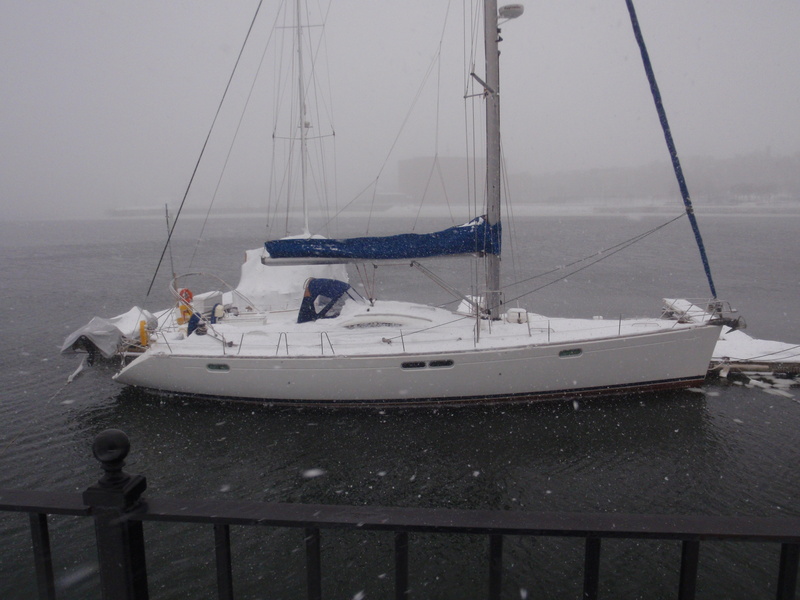 Categories: Boating Adventures, Living Aboard, Winter Living on a Boat | Permalink. There is one subject that seems to come up in conversation whenever cruisers or liveaboards get together: poop. More maturely known as the blackwater systems on boats or marine sanitation system. For those not familiar with marine sanitation systems, there is a bowl (similar to that in a house but much smaller) that is typically connected to a hand pump that will pump the waste through a 1.5-inch diameter hose into a holding tank. These systems are subject to clogging, odors and other problems if not properly installed, maintained and operated. 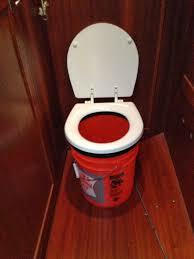 So much so that a few boaters I know have removed the systems from their boat in favor of just using a bucket. The holding tank can be emptied by another pump, typically a macerator pump that grinds up the contents to less than 1/4 of an inch, that discharges into the water around the boat. It is illegal to discharge that tank within three (3) miles of shore. You can also empty the tank by pumping out the contents using a pumpout facility at a marina. In some areas there are mobile pumpout units on boats that will come to you, making it convenient and easy to legally manage your waste. Sadly, there are many boaters that don’t follow this rule and will illegally discharge their waste wherever they are. This in one of the main reasons I won’t swim at marinas (stray current from incorrectly wired boats and dock power is the other reason). 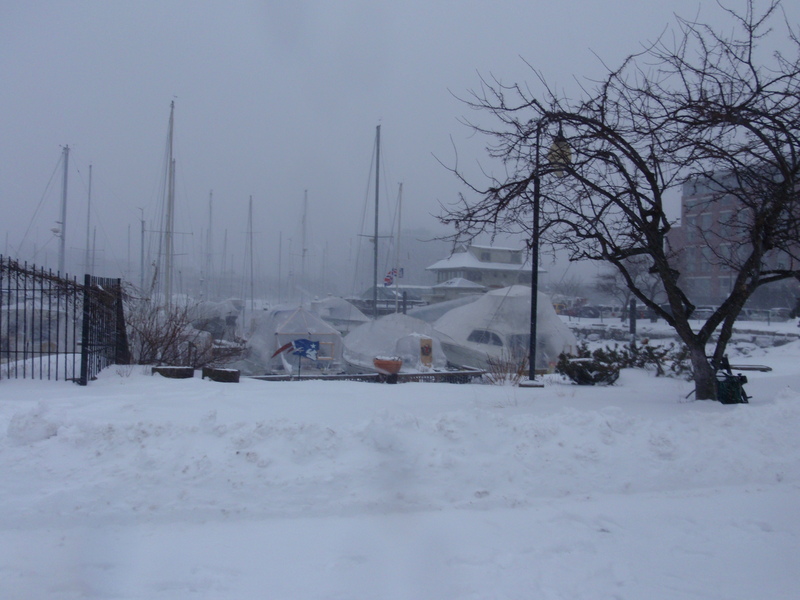 When we looked at marina options as winter liveaboards, how they handled the waste was one of the factors we considered. 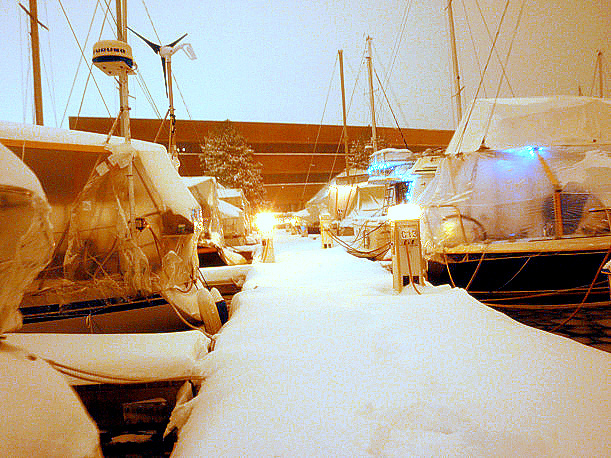 Many of the marinas that offer winter liveaboards don’t have a plan for the management of waste. 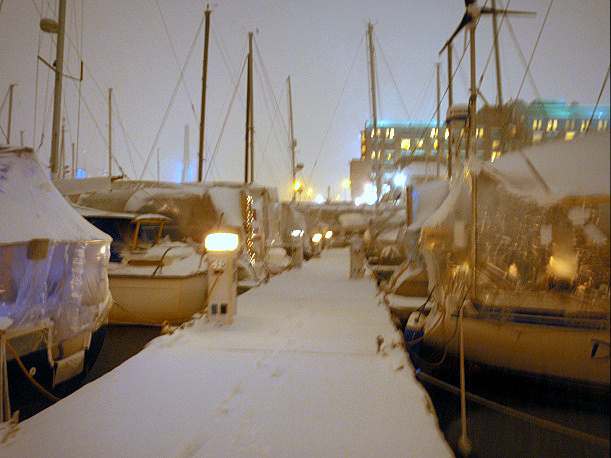 When we looked at Constitution Marina this was a question we put to the management. They have a pumpout boat that operates year round. During the winter they come around every Monday and Friday to pump you out. One problem with winter pump outs is the shrink wrap. In most cases the wrap will prevent access to the deck plate for the holding tank. 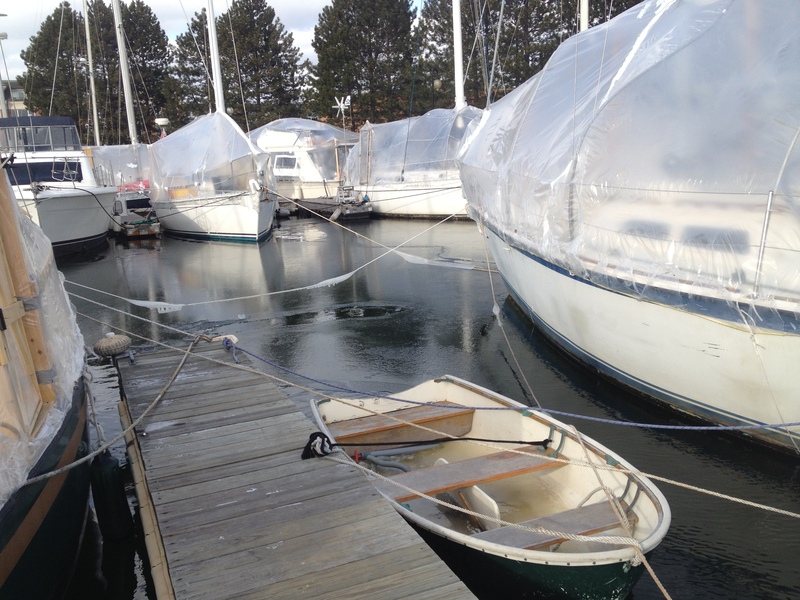 Constitution Marina offers an attachment that will move this point to the outside of the shrink wrap. You can simply purchase the connector from them, for around $100 IIRC. I made my own since I have easy access to the materials from work. The adapter is really just a 1.5″ MNPT by 1.5″ barb that threads into the deck plate for the waste pump out, some 1.5″ hose (enough to get outside the shrink wrap), a 1.5″ barb by male CAM fitting and a cap. It cost me about $25 and took maybe 10 minutes to assemble. Now the pumpout guy can empty our tank with the shrink wrap in place. 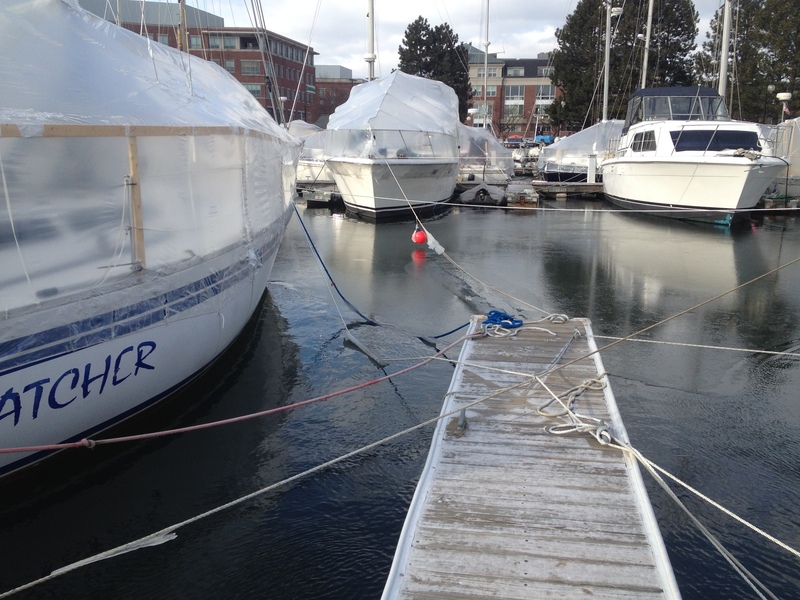 For water, Constitution Marina winterizes their normal water lines on the dock. They would freeze and burst if they tried to keep them open. So to keep water flowing in the winter they run new water lines that they sink into the water. The water down at a depth of 6 feet doesn’t get cold enough freeze. They place “Y” connectors every slip so you can connect your hose. They tie a line around the hose at the connectors and you can haul the hose up onto the dock to connect to it. 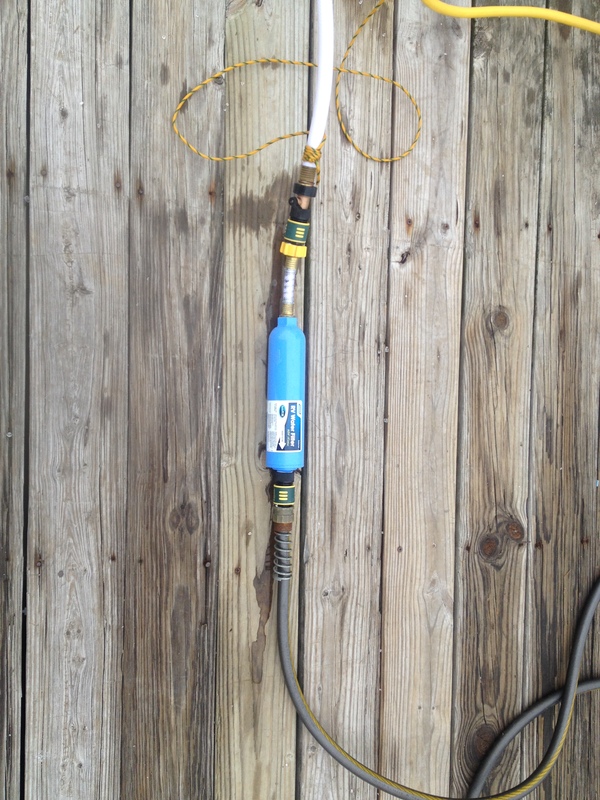 There are two ways to get the water from this submerged hose to your boat. The route most of the power boaters go is to run a hose from the “Y” connector into their boat, cover the hose with insulation and some heat tape to keep the line from freezing. They now actually make a product all setup for this that you can just buy but it’s not cheap, a 25-foot hose will cost you about $100. 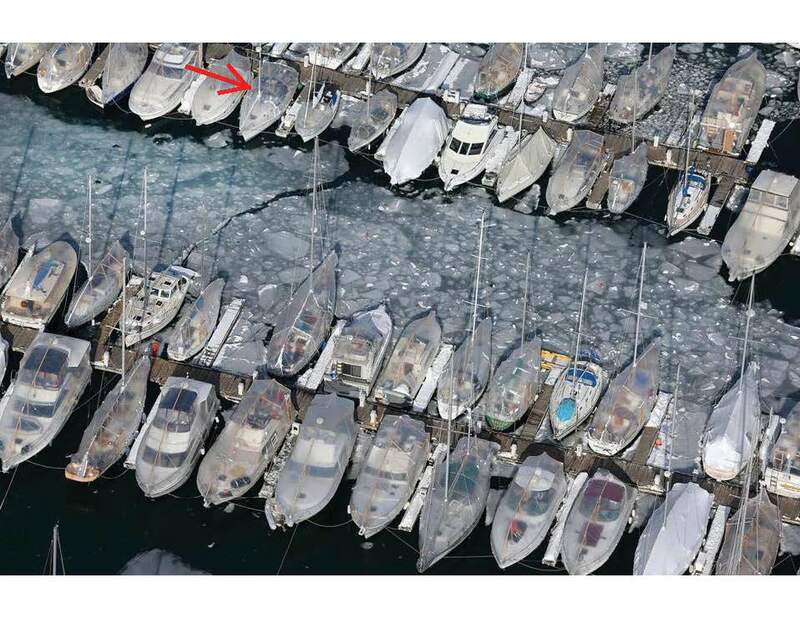 The downside of this approach is that if your system fails or the marina loses power, you could end up with a frozen line. 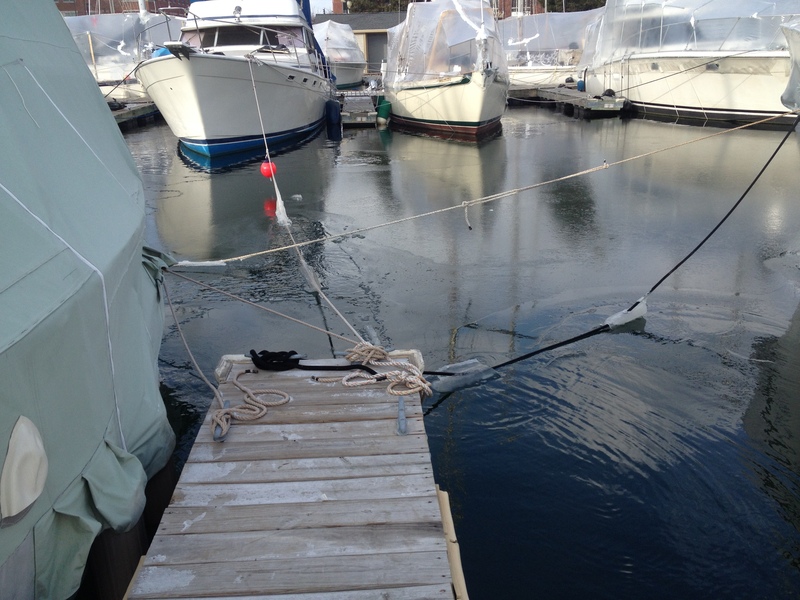 Worse yet, the frozen water can creep down the hose to the main line and freeze the line on everyone else on your dock. This is added to the potential to flood your boat should the line ever burst. I am not a fan of what is know as city water connections on boats. The second way is to attach a hose to the “Y” connector and on the outlet end of the hose put a valve and a cap. Tie a line around this end of the hose and then sink it. When you need water you simply pull up your line, connect it to your tanks and fill. When your done, sink the line again to avoid freezing. This setup is a little more work but worth it in my opinion. To make this easier I took another cue from Andrew on Solace. I ran a hose down the boom and front support beam inside of some PVC pipe. The purpose of the pipe is to have the hose maintain a constant downward slope without having any dips where water could collect and freeze. The hose crests at the mast with the forward section being pitch towards the tank fill and the aft section being pitched towards the stern. 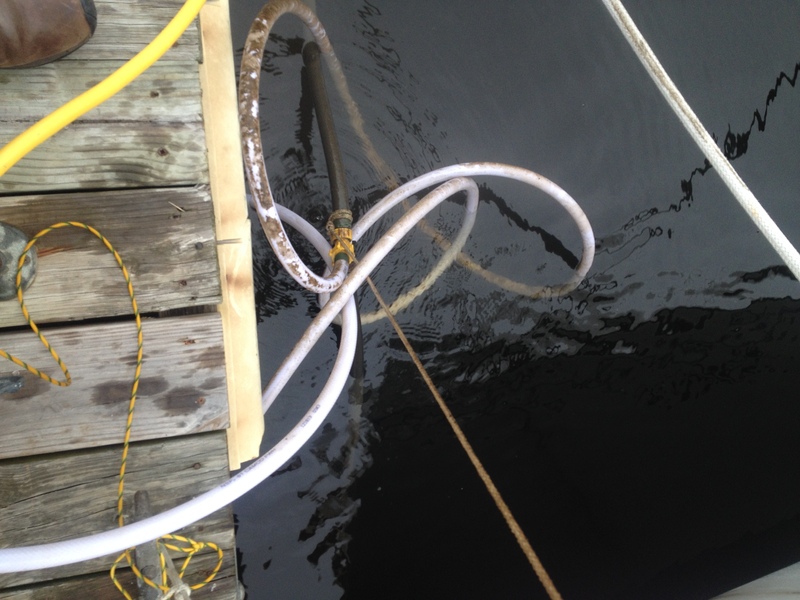 There is enough extra hose to get out onto the dock and reach the line that is in the water. We are actually sharing a line with Andrew for the winter. Andrew put quick connectors on the end and we have some of the same brand connectors so we can just attach our hose. We use the Camco TastePURE water filter as a prefilter for what goes in our tank (something I was able to introduce Andrew to for once). A bit of a tangled mess. I fixed that after taking this photo. For the deck plate side, I made a direct connection. Using a 1″ by 0.75″ plastic bushing and a 0.75″ by garden hose bushing I made a direct connection to the stainless steel deck plate. I drilled a hole in this connection to allow for air to escape while filling and as an indicator. When the tank is fill water pours out the hole. One downside to this system is that you have to turn the whole thing on very slowly or you get too much cavitation in the inlet and water starts coming out the air hole immediately. But if you turn it on slowly you can eventually get it up to full force. The other downside is that the pre-filter is really in the wrong place. It should be right before you go into the tank but the filter says to protect from freezing. By the way, one way we protect from freezing is to blowout the filter after each use. It’s not a bad system. It takes a few minutes of extra work to connect the hose and fill the tank but it’s not bad. Way better than lugging jugs of water down to the boat. 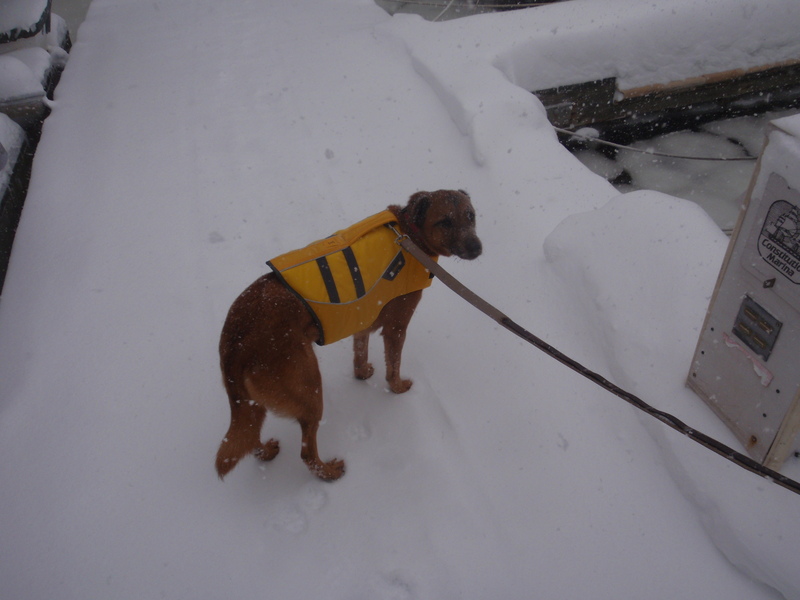 To continue on the winter liveaboards theme, let’s talk about keeping the boat warm and dry. 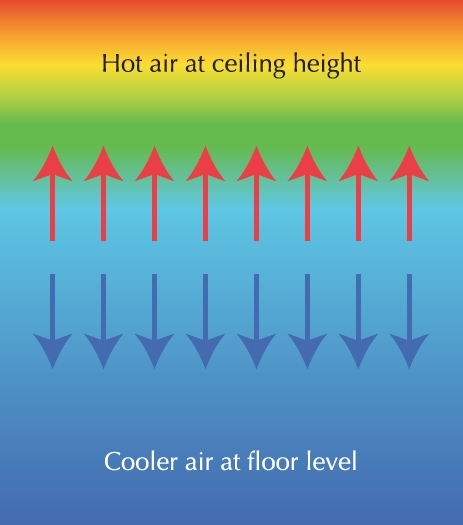 When evaluating heating options there are two types of heat to consider: radiant heat and forced air heat. Both have pros and cons. The radiant heat is typically supplied by oil-filled radiator style heaters. This can give a long last deep warmth that will transfer heat into everything around it like the wood, fiberglass, cabin cushions, etc. The down side is they take time to heat up and when you open up the boat you can loose heat that will take a long time to restore. 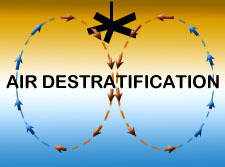 With forced air heaters you can rapidly heat the air but its not the deep lasting heat you get from the radiant heaters. When you turn off a forced air heater the heat immediately goes away. There are many ways to heat a boat. If we were going to do this long term an Espar diesel heater would be tops on my list of upgrades. This would provide either a constant radiant or forced air heat depending on which system you choose. I would likely go for the radiant water heaters. But these are costly to install and do require significant maintenance. Since we are looking at a shorter term view this left electric and propane as the viable heating options for Smitty. In talking to other liveaboards here as Constitution Marina, propane seems to be a primary choice. There is even a retired guy on one of the boats that makes some extra money by making propane runs for people. The Mr. 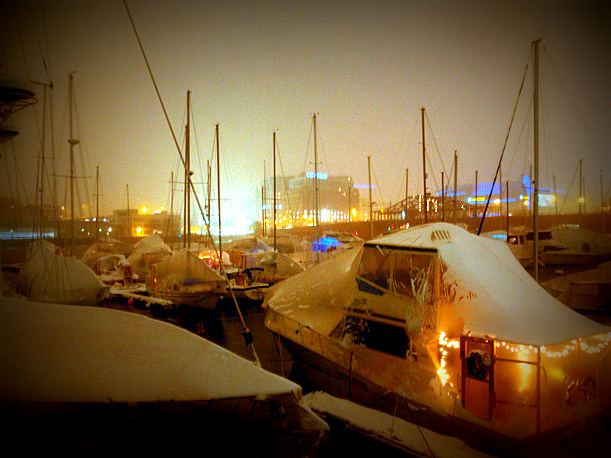 Buddy Heater seems to be a popular choice around the marina. We had a Big Buddy Heater that we used for tailgating at football games and heating the garage. These are forced air heaters that are great at creating a quick warmth. These heaters have great built in safety features like low oxygen sensors and tip-over safety mechanisms. Officially they are not safe for indoor use in Massachusetts but they are in the rest of the country. Go figure. The heater would take the chill out of the garage. For the boat it could be a little overkill with the two heating elements compared to the single element of the Mr. Buddy. These heaters can run on the small, one-pound green propane canisters but that will only last about 5 hours. The best way to run these heaters off of 20 pound tanks with a hose and filter. This setup will last 3-4 days. Two tanks could get you through a week. We could use this for the primary heat source but we absolutely would not leave this unattended. My Bride is even leary of using this on her own. But it’s important to have a heat source that doesn’t depend on electricity as our friends Tom and Nancy at Tidal Life learned during the blizzard of 2012. We ended up bring this heater to them when they lost power. Electric is another option. There are quality electric oil-filled radiator style heaters. Some are fancy with built in thermostats, timers, etc. But these can be problematic when you lose power. They won’t reset. So you are better off going more low tech. Since this would be the heater that is typically left on when you leave the boat, some safety features to consider would be UL rated for safe use around water, tip-over safety and overheat protection. Through the Boston Liveaboard Yahoo Group, the DeLonghi TRN0812T oil-filled radiator heater was recommend. Its compact and includes the safety features you would want on the heater. It was also relatively inexpensive at $72. The compact size is nice on the boat and its safe around Summer as the outer portion of the heater is relatively cool to the touch. Size wise it doesn’t make sense to go over 1500 watts for a boat. The electrical sizing in one of the largest issues to get past on most boats, see below for more discussion on this. This heater draws up to 1200 watts on high but has medium and low settings that will draw 700 watts and 500 watts, respectively. The total amperage for this heater is about 12 amps. We also have a small forced air heater. Prior to being full-time liveaboards we used our boat for an extended season from April to December. During the early and late parts of the season we used this heater to keep the cabin toasty at night. This heater does a great job for spot heating. It’s not UL safety rated for use near water but does have tip-over safety. I wouldn’t leave this heater on unattended. 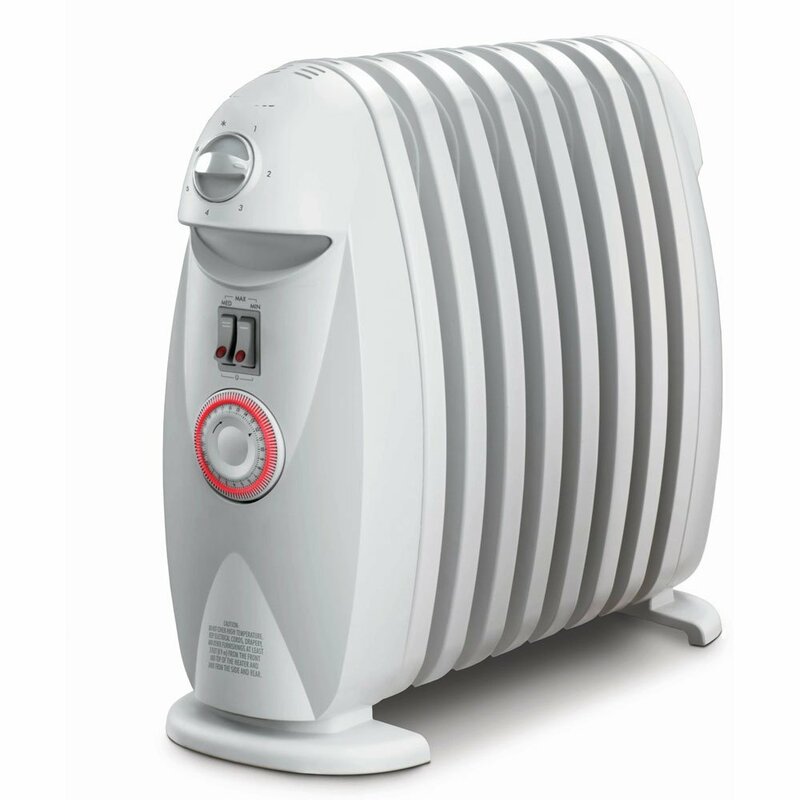 This heater uses either 750 watts on low or 1500 watts on high. The total amperage for this heater is about 13 amps. 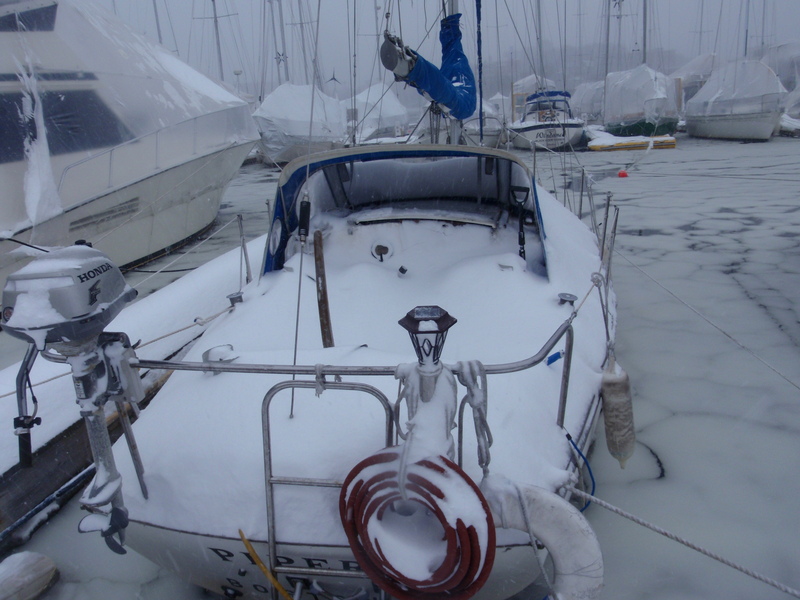 Depending on your boat you may also have a section that needs minimal heat to keep things for freezing. On our Catalina 310 there is a section under the cockpit that houses the water heater, plumbing for the stern shower and the holding tank. You can access this space from either the rear berth or the cockpit. On Andrew’s C310 he puts a heat lamp in this area set on a timer. A couple of years ago we purchased a Caframo marine forced air heater. This heater has an anti-freeze setting. We setup this heater on the anti-freeze setting in that rear area. 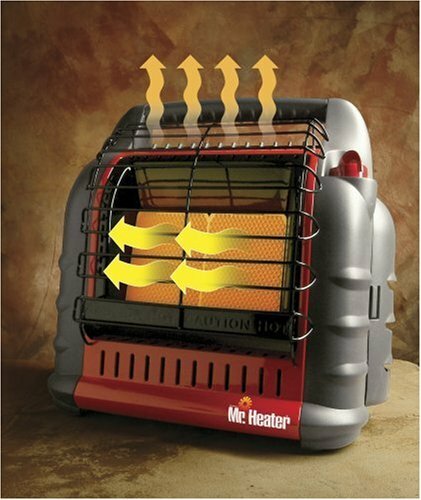 This heater has 3 settings and uses 600 watts on low, 900 watts on medium and 1500 watts on high. The anti-freeze setting can be used on the 600 watt or 900 watt settings. We set this on medium and that uses about 7.5 amps. The dry in the title isn’t just referring to my Bride’s motto of “warm and dry”. When you heat the air in the boat a side effect is condensation. This can be a bigger problem then staying warm. 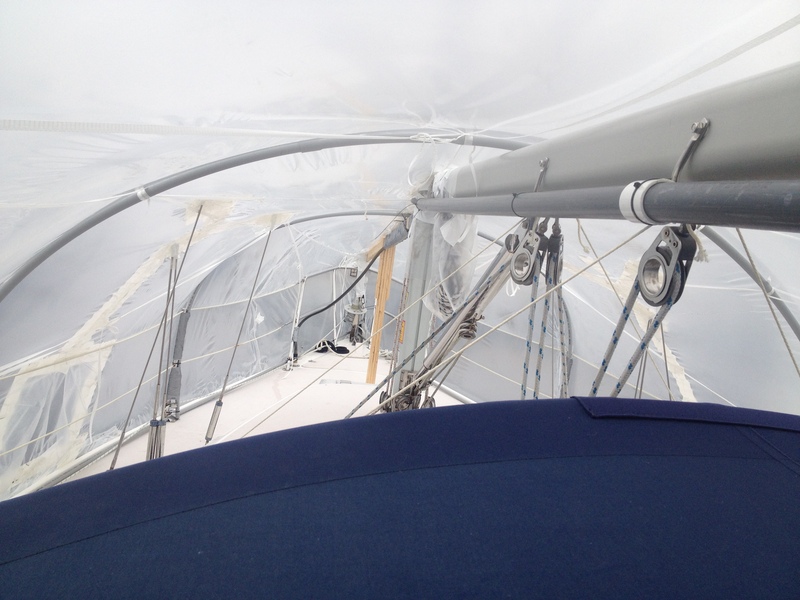 To combat this most liveaboards will run some kind of dehumidifier. Andrew has a larger 50-pint/25-liter unit. These run 24/7 and will remove a lot of water from the air. We went with a smaller 25-pint/12.5-liter unit that is more compact. We have to empty it daily. As a plus it really helps move air and reduce the heat stratification, see below. This unit uses about 190 watts at 1.6 amps. 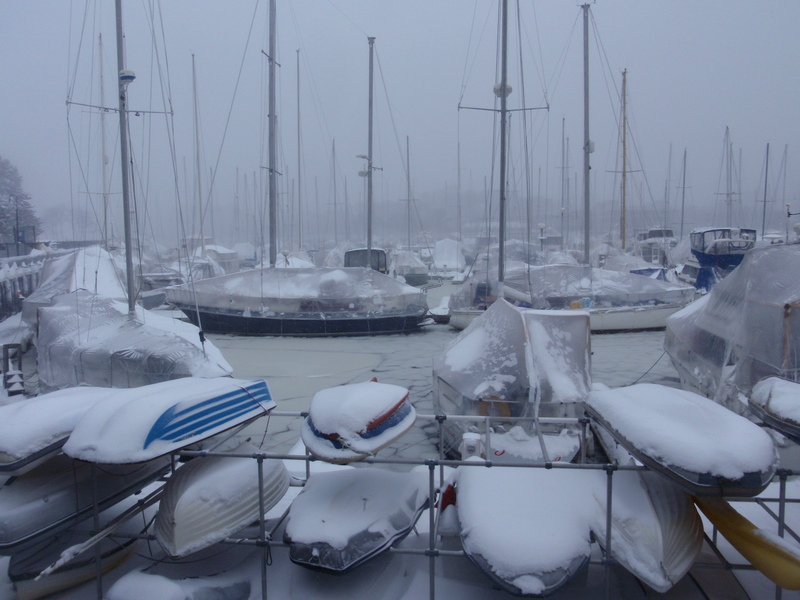 Heat stratification is a significant problem on boats in the winter as well. It is possible for your head to be sweating while your feet are freezing cold. The dehumidifier helps some. But the best answer is fans. Some of our 12-volts fans run non-stop to keep the air moving around the boat. This helps and make the air temperature more uniform. This will also help with the moisture issue. So who’s paying attention? How much power did I just say we are using to keep our boat warm and dry? A total of 3,790 watts/ 34.1 amps. Through a 30 amp shore power connection. And this doesn’t include the battery charger, water heater or anything else plugged into the 120-volt outlets on the boat. The biggest limitation on electric is the 30-amp shore power connection. 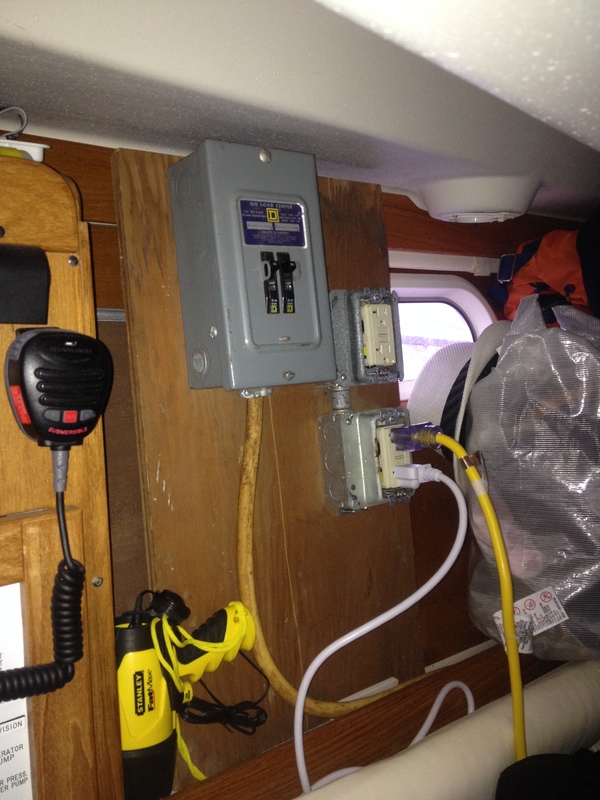 Some liveaboards will add a second 30 amp shore power connection wired to a couple of outlets. Others will simply run an extension cord from the shore power pedestal to a heater. The problem with that is its not really safe to run heaters on extension cords as they can heat up and cause fires. So I made a temporary electrical panel to use during the winter. Using a small breaker box I salvaged from a construction site, I wired up this panel. The panel consists of two 20-amp breakers wired directly to a shore power cord. I cut the boat side end of the shore power cord, stripped back the insulation and wired it to the breakers inside the panel. Then each breaker is wired directly to a single outlet. We ran the cord for the temporary panel in from the rear berth hatch that is in the cockpit. We sealed and insulated the window. Plus its under the shrink wrap so there are no issues with water getting in right now. This gives the additional electricity needed to keep our boat warm and dry. We run the forced air heater on high on one of these outlets when on board and as needed. The other outlet is used for the dehumidifier and the Caframo heater setup in the back area. Yes, I did run an extension cord to that heater. But we went with a 10-gauge wire, 15-foot cord. Since this heater does not run often and not for extended periods of time I feel safe with this setup. On a typical day we will run the oil-filled radiator heater on medium or low all the time. 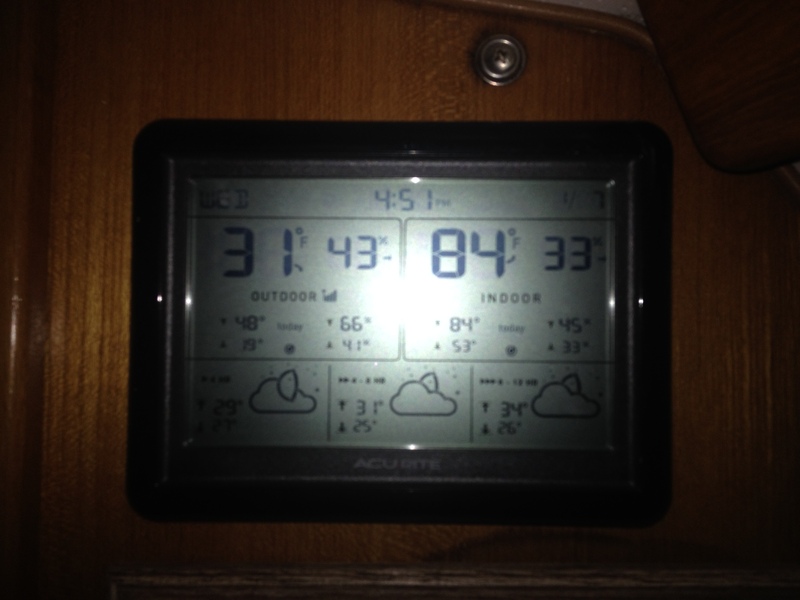 This keeps the boat around 58-65 degrees depending on the outside temperature. We can run this heater and the battery charger non-stop. We can also use the water heater, microwave or electric tea kettle without setting off any of the breakers. The electric only system has been working well so far. We typically return to a boat that is around 58-60 degrees. Within minutes it will be up to mid 70s with the forced air heater running. We will then typically turn down the heaters. 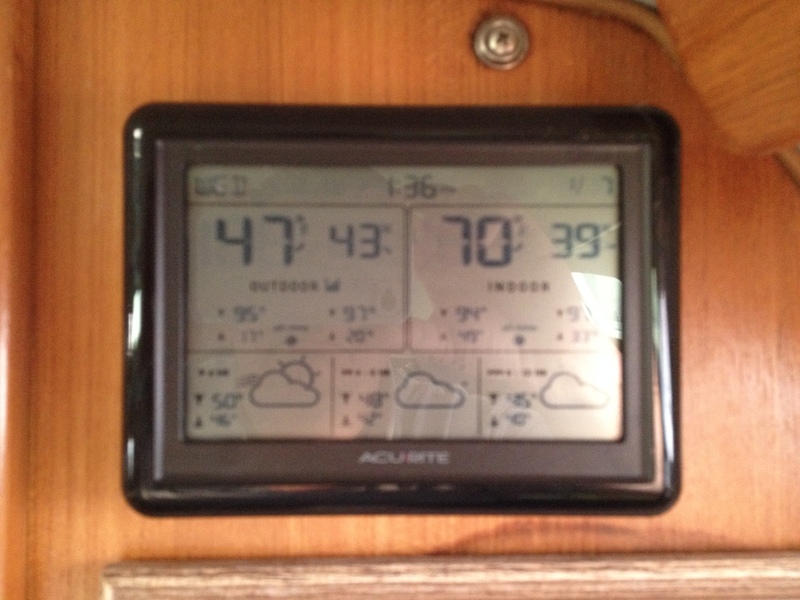 We try to keep it between 68-72 while we are awake and around 58-62 while sleeping. On the extreme side, we have had it over 85 while it was around 20 outside. 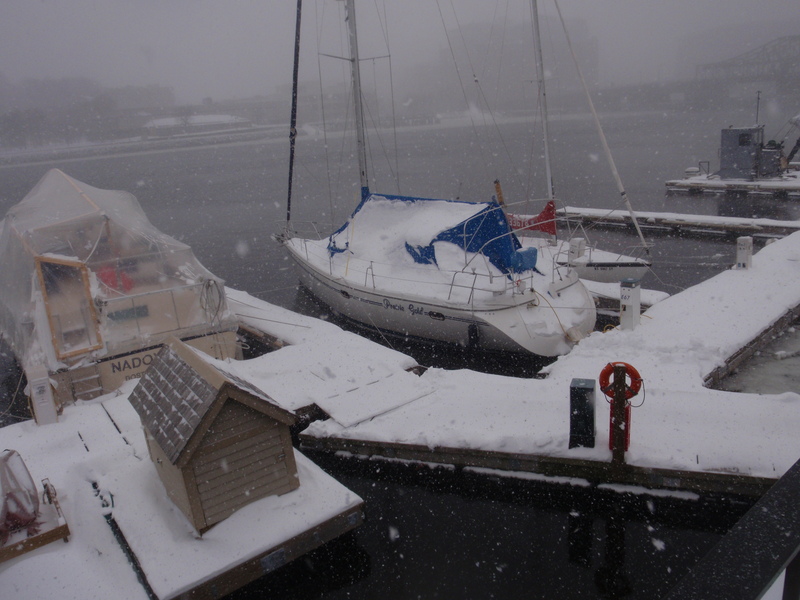 This system is not the cheapest on an annual basis but for a one year plan its ok. Based on what we have been told by some of the liveaboards at the marina, we are expecting to pay around $300-400 per month on the coldest months. 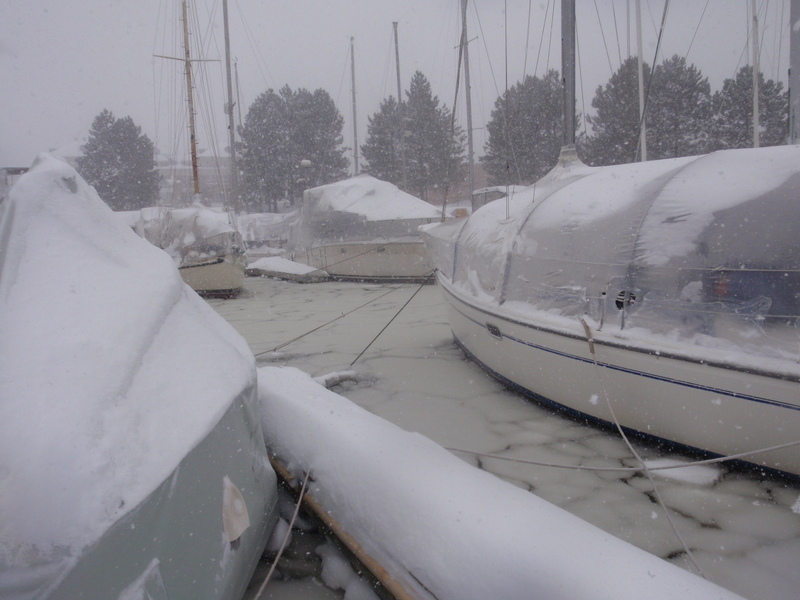 Categories: Living Aboard, Uncategorized, Winter Living on a Boat | Permalink.